Holliston, MA. September 5, 2017: TBS Technologies, LLC announced today its exclusive distribution agreement for its TBS-1080 Chlorine Dioxide (CD) Gas Generation System with Nova Biostorage+. 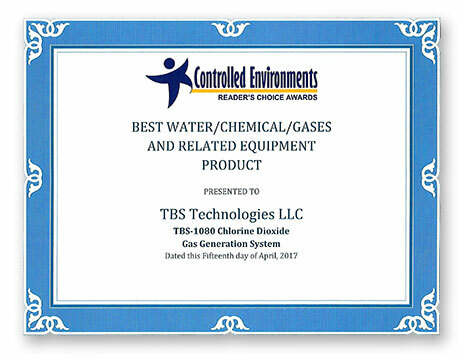 TBS Technologies LLC, headquartered in Holliston, Massachusetts, develops products based on patented proprietary technology that rapidly generates and delivers chlorine dioxide gas at the point-of-need, allowing small scale applications to benefit from superior gas phase disinfection. This new standard in user-friendly stringent disinfection of BioSafety cabinets provides labs with a portable, powerful, cost-effective, and practical alternative to the carcinogenicity of traditional disinfection agents. About TBS: TBS Technologies LLC has invented a novel, tunable and portable way to disinfect small spaces in controlled environments. TBS expects to be a leading provider of ClO2 gas phase disinfection devices that can be applied to reduce bacteria and viruses in laboratory, life sciences, healthcare, agricultural facilities. TBS offers to customers a never before possible capability to achieve superior disinfection results with a cost-effective yet powerful and practical device. About Nova Biostorage+: With 15 years of experience, and strong familiarity of the life science research market, we are able to provide cutting-edge solutions to improve: sample collection, sample storage, sample tracking, measurement and automation. We love working directly with our customer to provide solutions to everyday challenges-saving them time and money, or more importantly, improving their processes and results. Below are links to articles and information that provide further insight and details about chlorine dioxide and related topics. Chlorine dioxide has been recognized for its disinfectant properties since the early 1900s.